Lava Briefly Spews From Hawaii's Kilauea : The Two-Way A lava fissure erupts on the Big Island for about two hours following days of earthquakes. 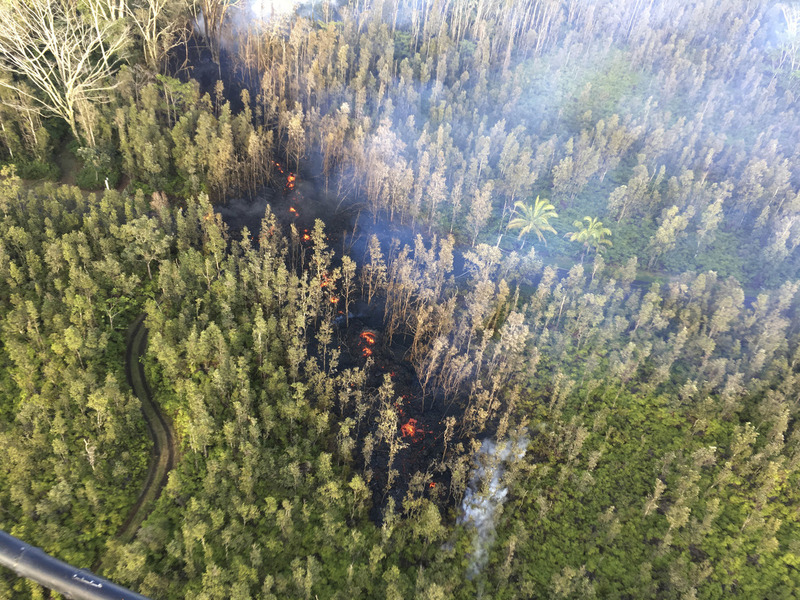 In this photo released by the U.S. Geological Survey, lava is shown burning in Leilani Estates subdivision near the town of Pahoa on Hawaii's Big Island on Thursday. 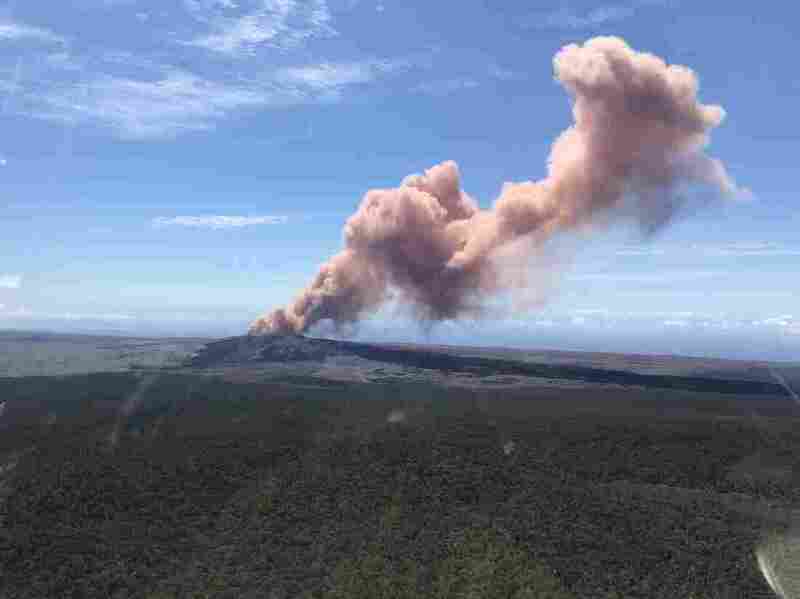 Ground shaking from a preliminary 5.0 magnitude earthquake south of Pu'u O'o caused rockfalls and possibly additional collapse into the crater on Kilauea volcano's East Rift Zone. 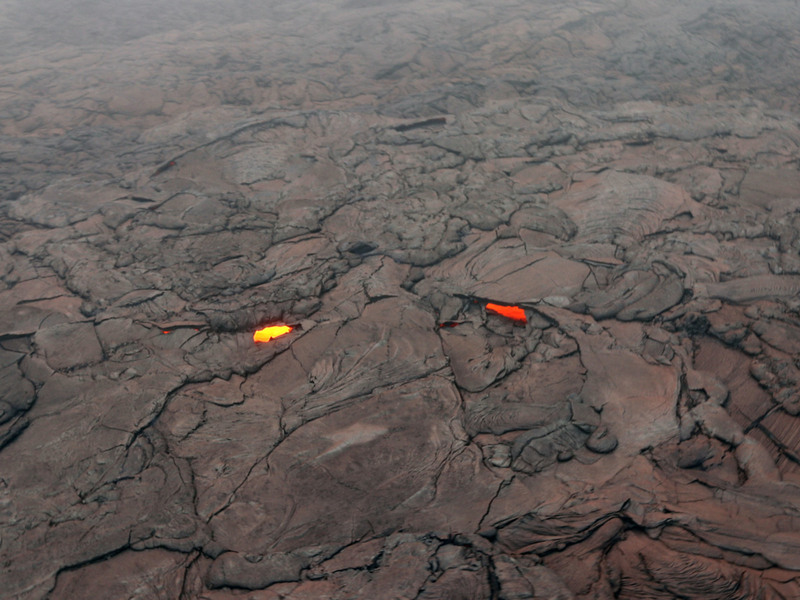 Telephoto view of a small lava flow (lighter in color) and spatter (blue-gray) that were erupted from a section of the crack on the west flank of Pu'u O'o on May 1. 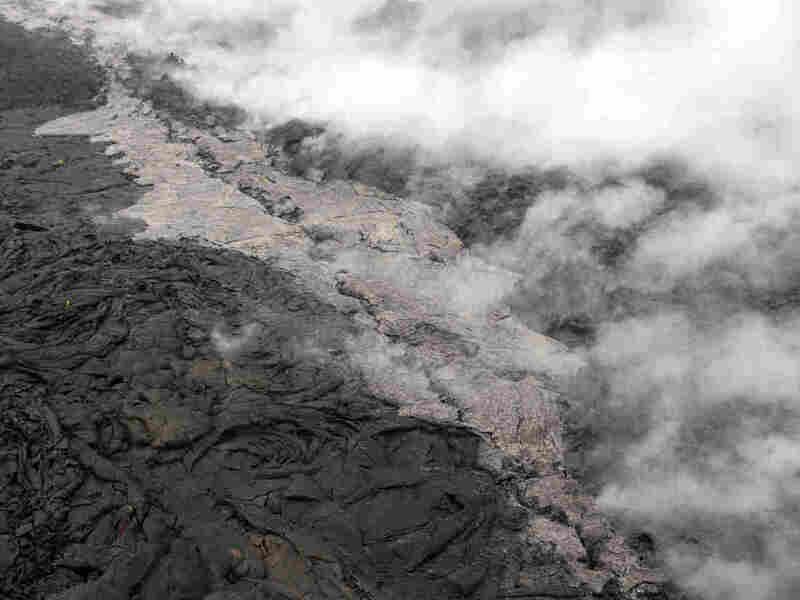 The collapse of the Pu'u O'o crater floor April 30 produced a large amount of red ash that was deposited around the crater and blown farther downwind.